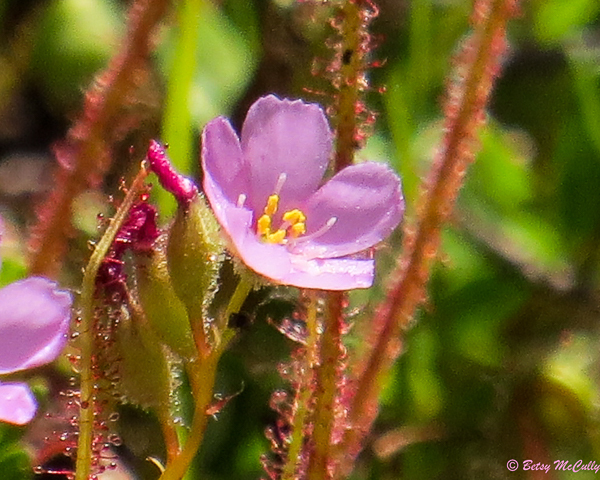 Thread-leaf Sundew (Drosera filiformis). Droseraceae family. Native. Wet areas, bogs. Restricted range: eastern half of Long Island. Napeague, Long Island, 2018.